Hi there my name is Lynette. 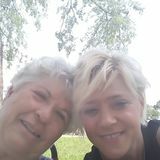 I am seeking a care provider position p job in or any area in Oklahoma I promise to be professional, skillful employee. I can alter my schedule to meet your needs. I have experience with transport to and from extracurriculars, meal preparation, and pet care. Further, I are willing to travel. I have extensive prior history in the role.